Jessica Jerome jumps during the U.S. Olympic Trials in December of 2013 at the Utah Olympic Park. Jerome will return to ski jumping in 2017 after taking this winter off. In 2014, women ski jumpers were finally allowed to compete in the Olympics. The U.S. sent a trio of athletes — Lindsey Van, Jessica Jerome and Sarah Hendrickson — to the Sochi Games to be a part of history. With that long fight for inclusion over, it would be easy to take a break and be happy with that major accomplishment. That’s not what Women’s Ski Jumping USA is doing, though. Despite the death of longtime president Deedee Corradini last year, the organization is pushing forward and recently named a new president — Julie Hickam. Hickam said she didn’t have much knowledge of the sport before moving to Park City, but her daughter, Jillian Highfill, sparked her interest in ski jumping. "The way we came to Park City was our family was relocated here from Louisiana," she said. "My daughter, through the Youth Sports Alliance Get Out & Play program, started ski jumping. From her very first ski jump, she was hooked. Therefore, she created my husband and my love for ski jumping. I threw myself into that world and helped on the club level. I continued to dig deeper into ski jumping to really acclimate myself with that and I talked to [WSJ-USA Vice President] Peter [Jerome] several times. After Deedee’s passing, we had several conversations. I was a board member and I decided I’d be happy to take on that role as president as we move forward. I’ll hopefully share Deedee’s vision and passion moving forward." Following in Corradini’s footsteps will be no easy task, Hickam acknowledged. "I want to say it’s intimidating, but at the same time encouraging," she said. "She left such a great footprint, not only for Women’s Ski Jumping USA, but for women’s ski jumping as a whole. She went through that battle and fought. She had the courage and confidence to continue battling until we got that inclusion in the Olympics, which is so hopeful and gives my vision and passion such a brighter light. Her legacy and what we want to bring to this program is the exact same thing — confidence, character and courage. That is our basis for the Fly Girls program that we’re creating to start that new generation of ski jumpers." 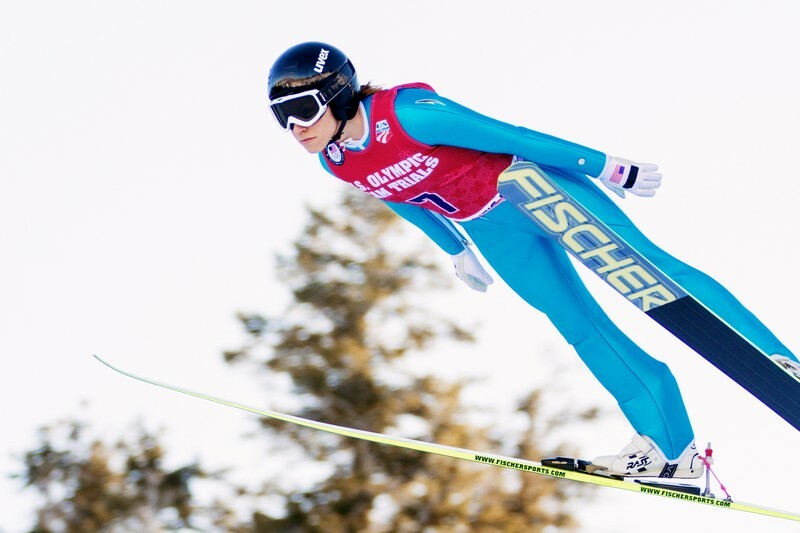 Hickam said the Fly Girls program, which produced five young jumpers who will compete at the Junior World Championships in Romania later this month and one who will compete in the Youth Olympics next week, is the biggest focus of Women’s Ski Jumping USA right now. "The Fly Girls program has happened for two years now," she said. "Lindsey Van is the coach for that. The girls love her. In two short years of the Fly Girls program, which is just a summer camp, we’ve created five World Junior competitors that are leaving in February. That’s really exciting. That’s our biggest push right now. That’s going strong." The next item on the organization’s agenda is to create more structure at the youth levels to form a pyramid system for those looking to progress to the top level of the sport. "Our next step that I would like to see happen is creating a junior membership so there’s a clear role or line and you know the next step moving forward and you know what to expect at each level," Hickam said. "If you want to jump on a Saturday, that’s what you can do, but if you want to jump on the podium in 2018 [at the Olympics], you can do that as well." As the Fly Girls program grows, Hickam said she hopes the U.S. team’s international presence will grow as well. Right now, of the three 2014 Olympians, Van is retired and coaching for the Fly Girls, Jerome is taking the year off and Hendrickson is rehabbing a torn ACL. Hickam said the National Team needs to make a splash in 2017 in order to be well represented at the 2018 Olympics in PyeongChang, South Korea. "Within every organization, I feel like there is that rebuilding phase after the Olympics," she said. "With us, just being in the Olympics for the very first time in 2014, we took a lot of notes from that and decided that we needed to make some staff changes and coaching changes and really rebuild." That rebuilding process will rely heavily on how the organization is able to raise funds. "Internationally, the other teams are funded on a high level from their governments and we are not," Hickam said. "We have to, in these off years leading up to 2018, really secure the fundraising and our donorship and get that going. That’s kind of why I was brought on — to help that along." Hickam became president at the same time Laura Sankey joined as secretary and Blair Tomten came aboard as treasurer. Hickam said all three newcomers bring different strengths to the organization. "Blair Tomten is a former ski jumper," she said. "She brings a lot to the table in terms of the FIS organization. She is the head official judge for FIS in the United States. She keeps us connected on an international level in that area. "Laura Sankey, she’s from Steamboat [Springs, Colorado]. She has an outstanding resume and she brings so much of the marketing on a corporate level. She handled all of [the Green Bay Packers’] corporate sponsorships. She played the reverse role, where she had people come to her. Now she’s reaching out. I feel like it’s a great opportunity to put the shoe on the other foot and she has all the tools there." Sankey has also worked with Procter & Gamble and the Coors Brewing Company, among her other experience in the corporate world. Hickam, on the other hand, brings a complementary strength to the table. "I bring more of a nonprofit business marketing type of background to Women’s Ski Jumping," she said. "I’ve sat on several boards and I was the executive director of a school for fundraising and I have a solid history in the nonprofit world." Recently, Hickam was the head of the Youth Sports Alliance’s Get Out & Play program in Park City. She said she and the new and current board members will have to use all their different experiences to make WSJ-USA the best it can be. "Since we don’t have that government funding, [fundraising] really does make or break our program," she said. "We rely on that to name our team and to say we have X amount of dollars and we can fund this many athletes. It is so important that we have that community involvement as well as corporate sponsorship involvement to allow as many team members as we can. The harder we can work to provide those funds to the girls, the better the United States will be represented in the Olympics." Currently, Nita Englund leads the U.S. competitors with her 18th-place rank on the World Cup circuit. Tara Geraghty-Moats is in 29th and Abby Hughes, who recently returned from an injury, is in 38th. With Jerome and Hendrickson scheduled to return to the competition scene in 2017, and with reinforcements on the way from the Fly Girls programs, Hickam is hoping for a good run through the 2018 Olympics. "It’s crucial [to do well in 2017], absolutely crucial," she said. "Next year begins the new point system, so everything from the last year is swiped clean and we start over. We have to have at least two to four, hopefully four, athletes in the top 30 to get our spots within the Olympics for 2018." Though it will be tough to claim a podium spot in 2018, Hickam said she believes the organization has the pieces in place to make the next two years a success. "I have full faith in our new coaching staff and this new board that we have that we can fully support [the athletes] and give them whatever they need to compete at the highest level." To learn more about Women’s Ski Jumping USA, visit http://www.wsjusa.com .